Well, here's a pretty bold way to advance conservation: a PDF-like file format that can't be printed. 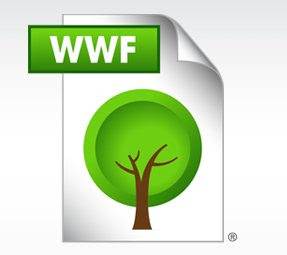 WWF files (named for the World Wildlife Fund in a clever bit of branding) are essentially just like PDFs except for that curious lack of a "print" option. They're meant for documents that the author knows can be used just as well without a paper copy - especially in workplaces where the inclination is to print every possible thing before a meeting. Sure, hackers will find plenty of ways around this restriction, but that's not the point. 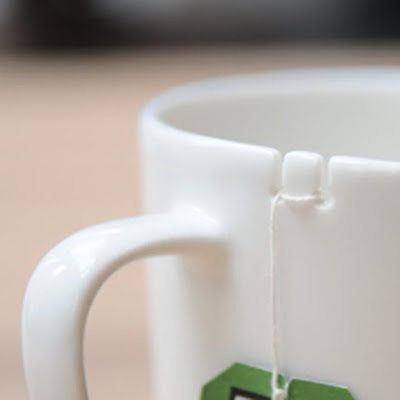 Adding this little barrier, even if it can be overridden, will prevent a huge percentage of those documents from ever being printed - they'll stay digital, and stay green. Nice! 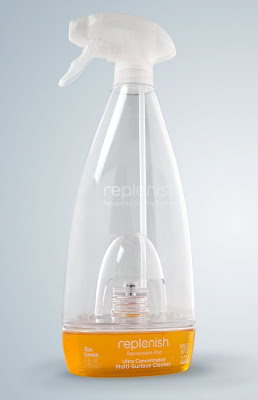 "Replenish" Cleaners: Bring Your Own Water. Take a look at the cleaning products aisle in any retail store, and a good portion of what you'll see is regular old water. That is, almost every liquid cleaning product is mostly water, plus a few "active ingredients" that do the real magic. Replenish asked the excellent question of why people are paying to ship and carry all that water when they could just add their own, and voila, their product was born. You buy mostly-empty bottles, filled with just the concentrated good stuff; when you get home, fill the rest of the bottle with water, and mix. Done - and in addition to your shopping load getting lighter, the carbon footprint from start to finish just got a bit smaller. Not bad!